Flooring is an integral part of one’s home, which appeals both to the strength and aesthetics of the house. When it comes to increasing the beauty of your house, you need to think about the kind of flooring you would want. The normal or regular ones include solid wood, vinyl, carpet, etc. When you think of solid wood flooring, the thickness of its boards varies. This makes it vulnerable to the outside damages. 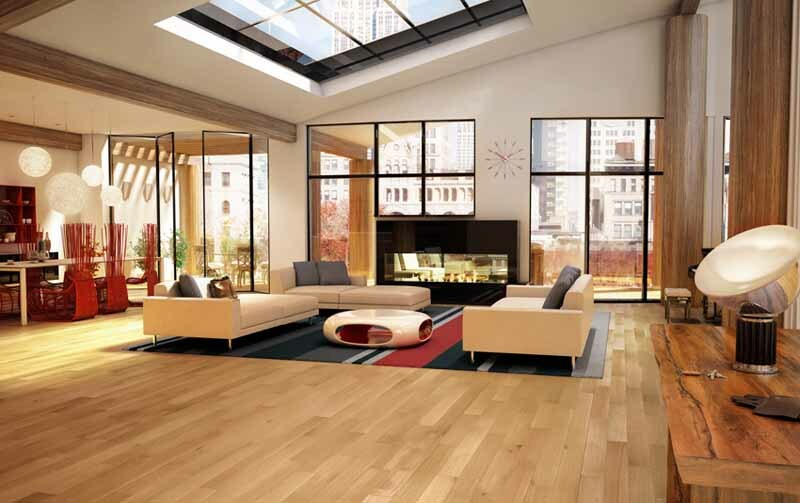 On the other hand, engineered flooring includes joining multiple numbers of fibreboards. The pieces come with a top layer made of solid wood and back support made out of hard wood. This kind of construction and elements make it extremely strong and resistant to the damages. Solid wood floors are used for the ground level rooms. Engineered floor can be installed at any place, and it will be able to function properly. This is one of the best reasons for choosing engineered flooring. You do not want a floor which lacks the basic preventive measures, making the place look exploited in the name of wild weather. The construction of engineered floor increases the stability of the floor and its bad weather resistance power is also very impressive. It does not matter where you stay. If you are living in a humid atmosphere, you need to select the type of floor which is able to resist the humidity and moisture. If the floor absorbs moisture quickly, it is more likely to be damp quite soon. This will be followed by rotten wood. Unlike the solid hardwood flooring, engineered wood floor is better at resisting those. Just like any other types of valuable elements in your house, you need to take care of the floor too. Most of the people forget a certain fact about hardwood floor. The fact that the solid hardwood floor might look very elegant and classy but as it grows old its surface, however, becomes dull and tends to develop visible scratches. You need to repair the floor a great number of times in order to prevent it from getting further damaged. Unlike this, engineered flooring only needs to be repaired once or twice. The cost of installation of any type of flooring is not cheap. In case of the solid hardwood one, the cost incurred is exorbitant due to its method of installation, labour charges, the price of the elements needed etc. The engineered flooring costs much lesser than the other types. Very often when the price of a certain type becomes cheaper, we tend to look down upon the quality of the product. This might not always be the case. Therefore, if you are open to the concept of a cheaper floor with better quality, think about getting engineered flooring. We live in a time when there is an extremely high chance of being pollution prone. This is why you need to look for ways to save the environment. Engineered flooring can help you with that. It prevents damp and mould. Therefore, there is lesser scope of allergy if you choose engineered flooring. Thus, to get the best out of engineered flooring It is essential that certain aspects are considered upon with grave sincerity.